Japan is to witness the releases of six new DVDs, three of which are due out on the same day later this month. The first two are to feature five stories each from the Fourteenth Series while the third focuses on the differences between The Railway Series and their prospected TV versions. All are due on September 26th. トーマスとキリン stars the first quarter of Season Fourteen in a 51 minute collection with an altered shot from the starter episode serving as the front cover. トーマスがおてほん on the other hand compiles the second quarter of the series with a specially composed cover based on one of the available episodes. Moving on from the format is だいかつやくのきかんしゃたち!. 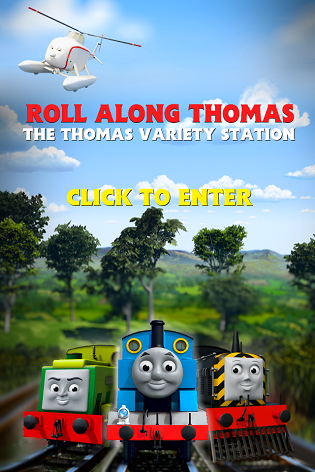 The commemorative title shows the differences between Railway Series tales adapted for the small screen. Following on from a successful theatrical release, きかんしゃトーマス ディーゼル10の逆襲 will hit retailers on October 19th. Serving as an alternative tour guide to the popular Thomas Land theme park, こんにちは日本の鉄道 ~トーマスといく富士急行線~ will be out on the same day as another title. October 24th sees きみはどれだけ知っているかな? test Thomas fans on their knowledge of the Island of Sodor and the series. The six new titles hit Japanese DVD shelves from September 26th 2012.